A potential card-wrecking hole coming late in the round. The faded tee shot will follow the dogleg right fairway, while a hook leads to rough down the bank to the left and a difficult second shot over trees. 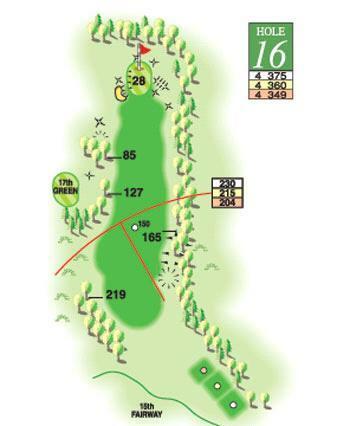 Approach to the green is easier from the left to hold the ball on the left sloping green.